Check out Tobi's Off The Grid Plaid Wrap Skirt We got the memo: it's all about plaid. 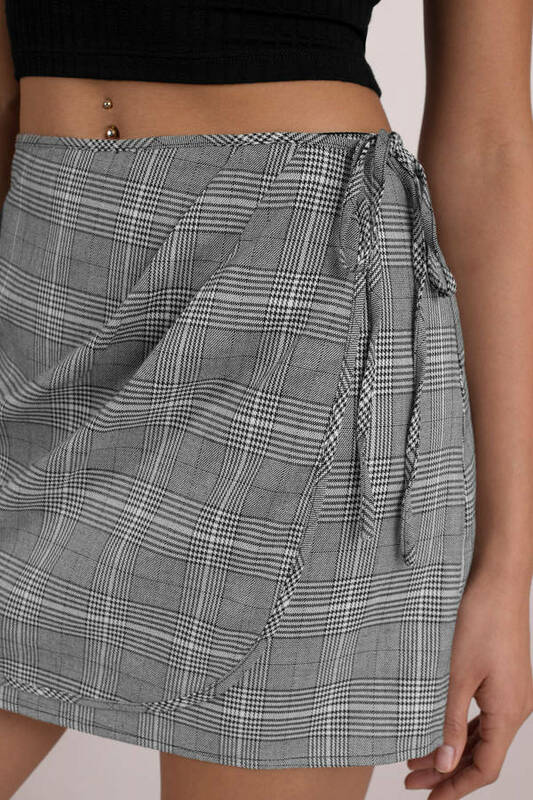 Bring trend-led plaid to the office with the Grey Multi Off The Grid Plaid Wrap Skirt. In this season's plaid, the mini skirt looks the business with its A line cut, wrap detail and tie fastening at one hip. Wear this professional mini skirt with sock booties! We got the memo: it's all about plaid. Bring trend-led plaid to the office with the Grey Multi Off The Grid Plaid Wrap Skirt. In this season's plaid, the mini skirt looks the business with its A line cut, wrap detail and tie fastening at one hip. Wear this professional mini skirt with sock booties!